“My thoughts entering this year is to have fun and execute our game plan each week we unload,” he told SHORT TRACK MUSINGS. After scoring just one single top-10 at the Hamilton, Ontario-based oval last season, Kenny says his team is focused on rebounding this year, ready to run consistently in the top-10 weekly and showcase what he can do behind the wheel. His focus has began with making sure to put in the hours before the first race of the year on May 4. Kenny knows it won’t be easy at Flamboro Speedway this year, noting that “on any given night, you have almost 10 cars that are competitive enough to win a feature.” He was also quick to applaud the improvements the staff have made to the facility over the past couple seasons. 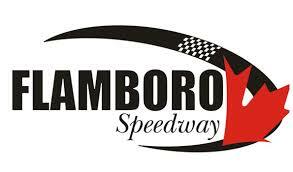 On top of the full schedule at Flamboro, Kenny has made his intentions clear about hitting some of the invitationals across the province, including the July event at Jukasa Motor Speedway. For Kenny, he has been around racing his whole life from a young age. Through the years, there’s been several memorable moments, but Kenny says the biggest was getting his first Mini Stock victory on Flamboro Speedway’s memorial night in 2016.